No one will be surprised when I tell them that my dream holiday is in Seattle. After a whirlwind 48 hour trip in 2011, I fell madly in love with this beautiful city. I have since returned in 2013, 2014 and 2015. This year, tragically, I was not able to get back to my beloved city. But the good news is that I shall be back next year, and I am already in full planning mode! Seattle makes my heart sing. It is such a beautiful city, and the food is amazing. And I know magnificent people there. 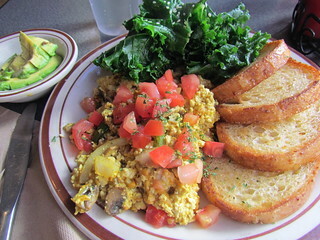 One of my favourite places in Seattle is Wayward Vegan Cafe. I have been there for brunch a few times, and dinner once. I love their diner menu. One of my favourite brunches there was a delicious cheesy scramble, and last year I also finally got to try their famous club. They apparently have a breakfast club now, and that is top of my list for 2017! 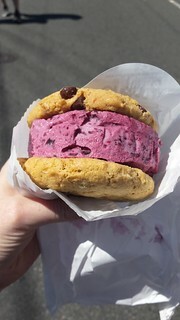 Last year I visited the Seattle Cookie Counter van a couple of time for delicious ice cream sandwiches. Since that time, they have now opened up their own store front! I can't wait to visit for amazing desserts! Last year I didn't get a chance to visit Pizza Pi, because I forgot that they were closed on Mondays. And then they were going to close down, which broke my heart. But thankfully new people stepped in and Pizza Pi lives on! So I am looking forward to 100% definitely visiting them on a non-Monday next year and getting some pizza on. 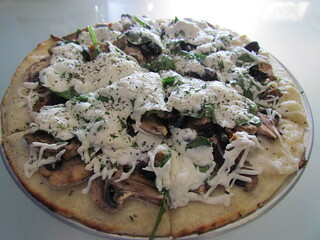 And of course, Sizzle Pie has a Seattle location now as well, so pizza can be mine! 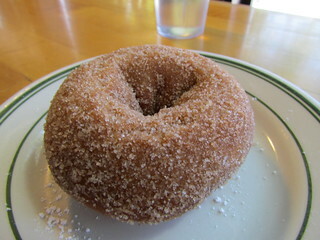 I love getting my cinnamon sugar doughnut fix from Mighty-O. If you can get out to the location, you can take your doughnuts on a short walk to eat them looking over the beautiful Green Lake. Otherwise they are available at lots of other stockists as well! And one of my favourite Seattle traditions is to get breakfast down at Pike Place Market. 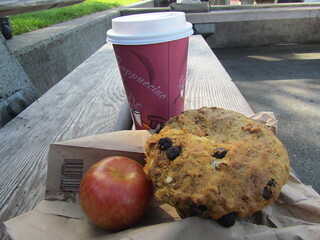 I get a baked goodie and a cinnamon chai from Cinnamon Works, and a piece of fruit from one of the fruit shops, and eat them overlooking the water front. Another photo of Pascall, in all her silver glory. My fourth kitty. That looks like an awesome ice cream sandwich! It was so good. I got that one at a weekend festival, and people kept stopping me to ask where they could get one too. We had a whirlwind 24 hour trip to Seattle in June. It was definitely not enough time. 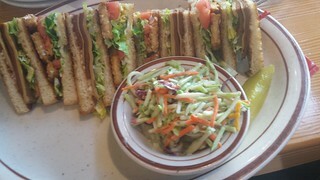 We did manage to get to Wayward Café, and I absolutely loved it. One of my favs. It looks like I have more places to visit. Keep me updated when you go =) I would love to try and meet you there! 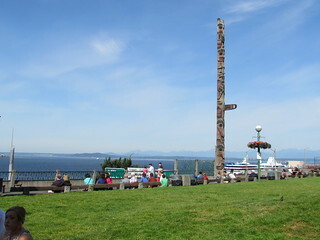 There are so many places to visit, though tragically the Seattle Cookie Counter closed down yesterday. I am heartbroken. Would be great to meet you there, will keep up updated with dates! Never knew there were so many options in Seattle! 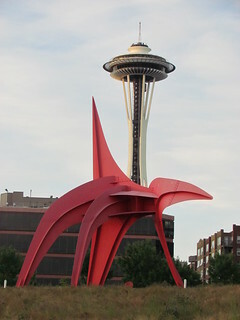 I am such an East Coast girl it never occurred to me how cool Seattle would be.